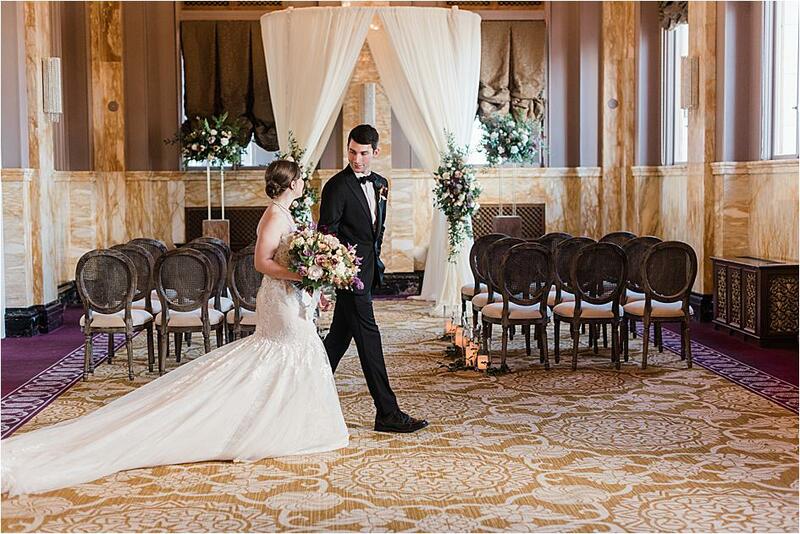 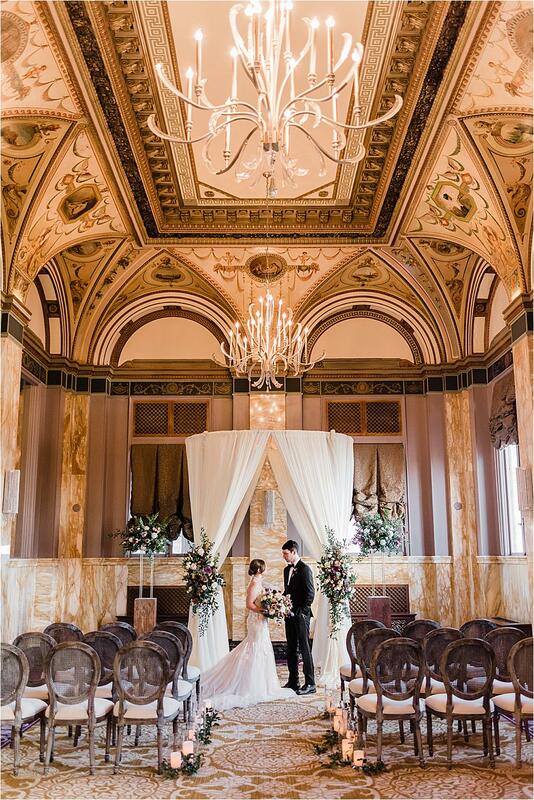 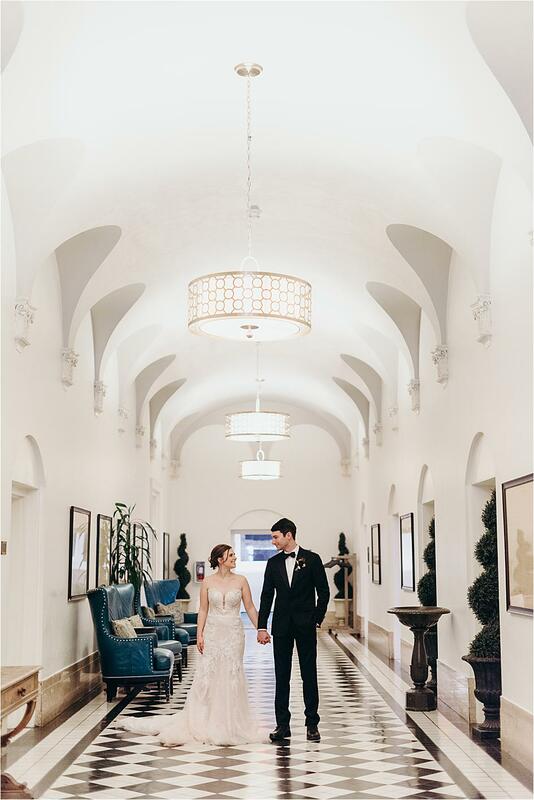 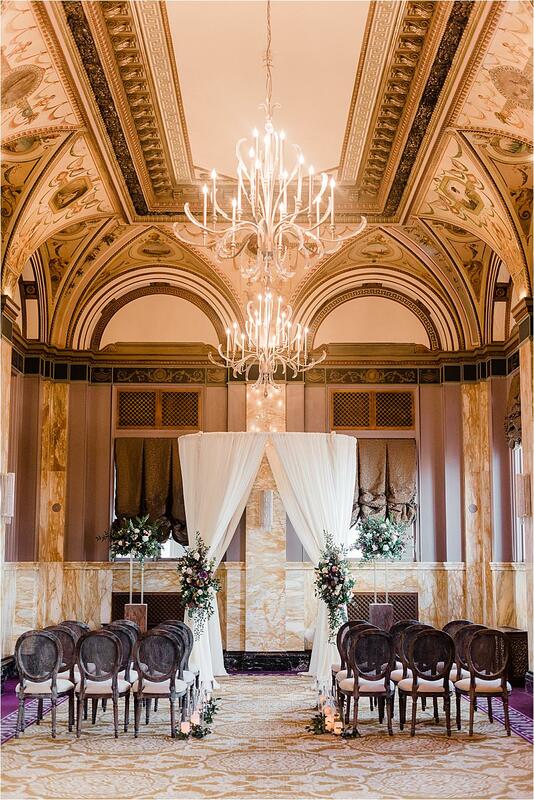 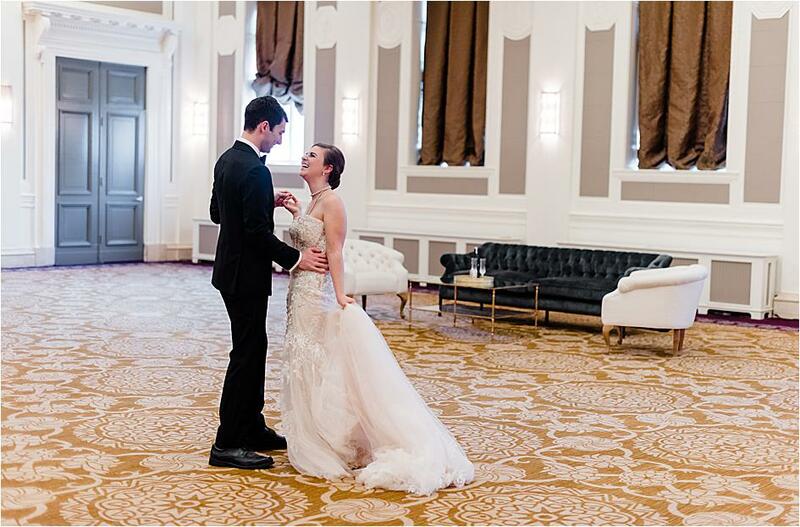 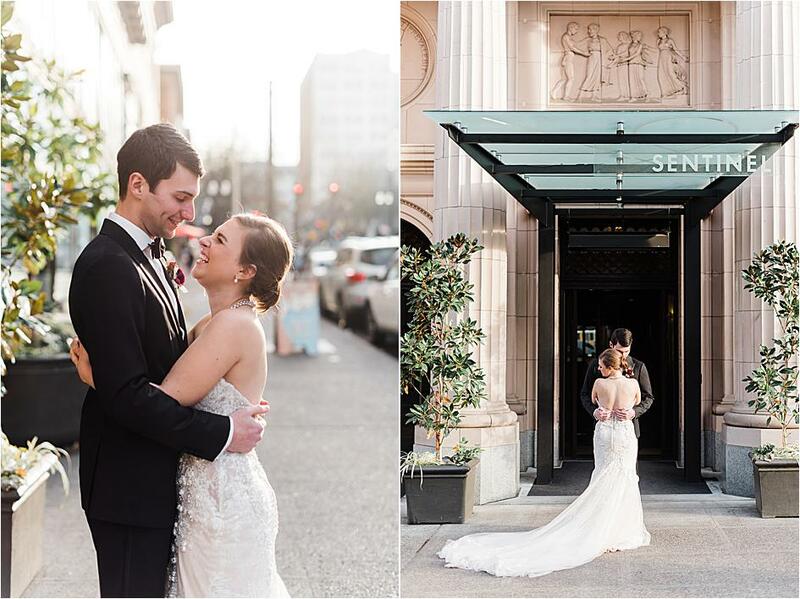 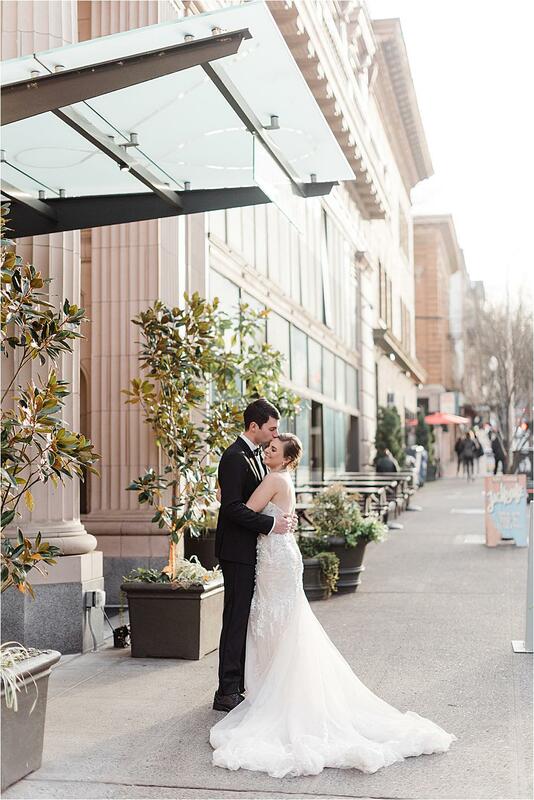 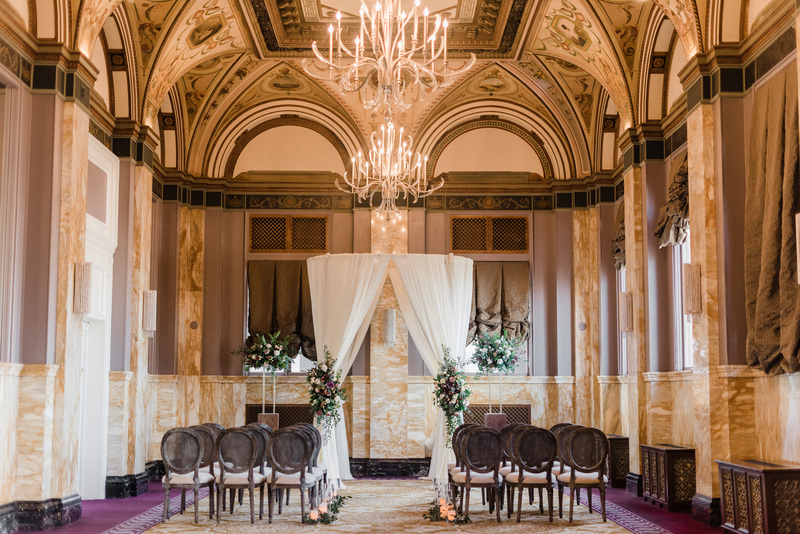 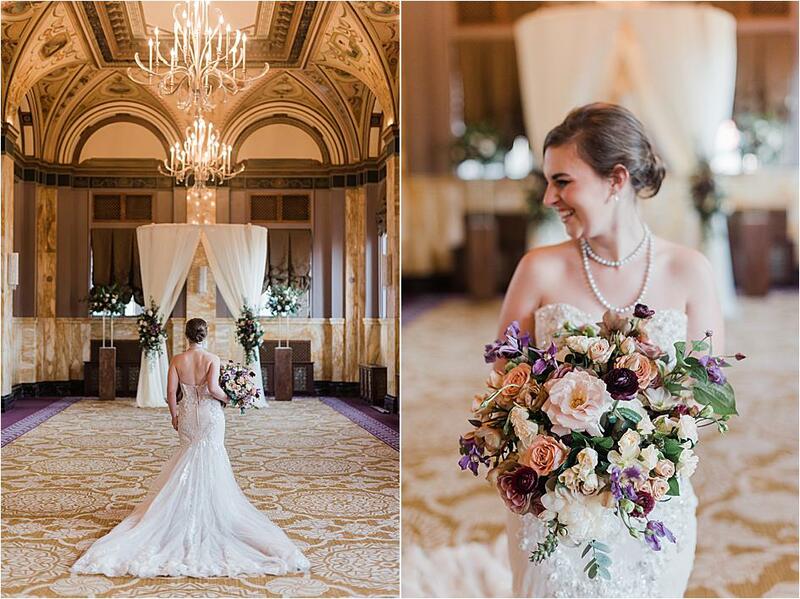 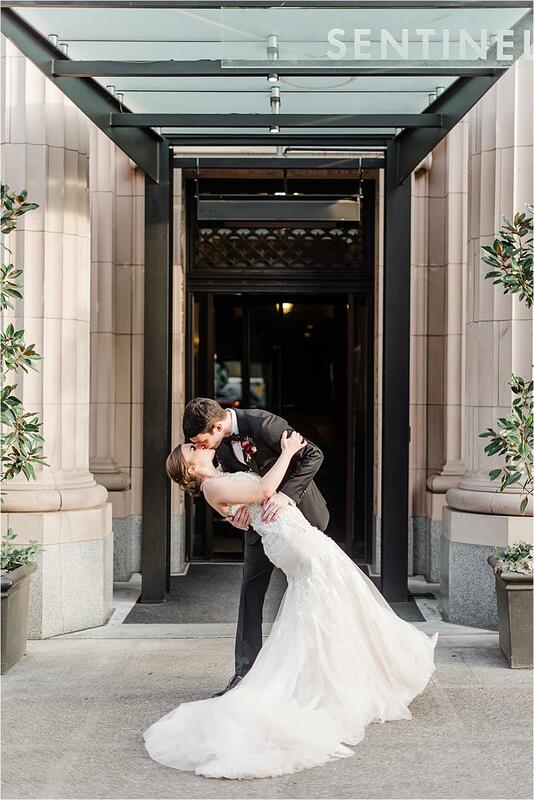 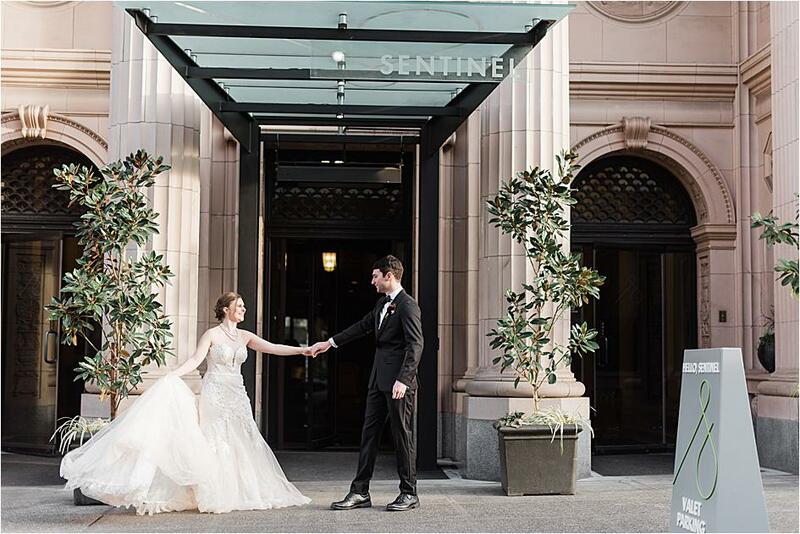 This incredible styled shoot at The Sentinel Hotel in Downtown Portland took our breath away. 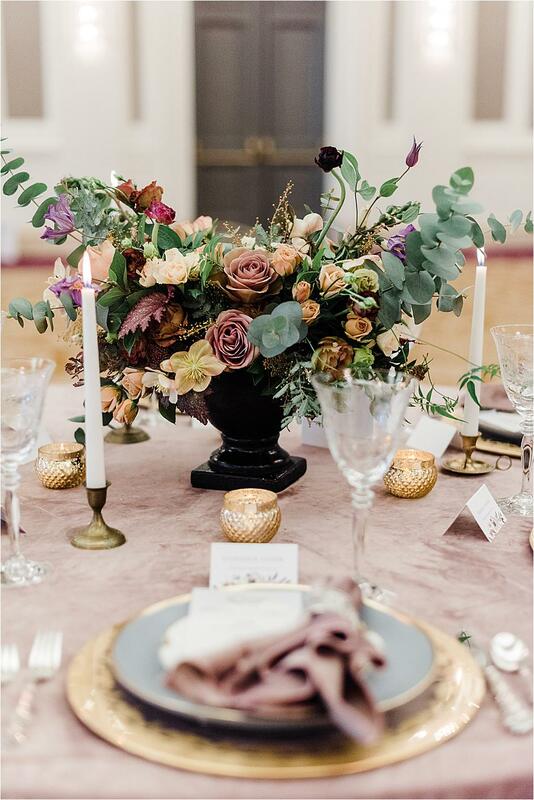 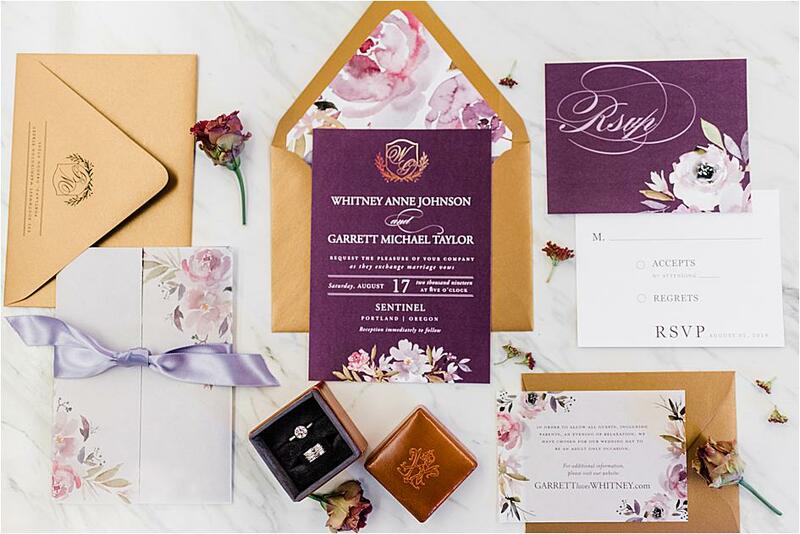 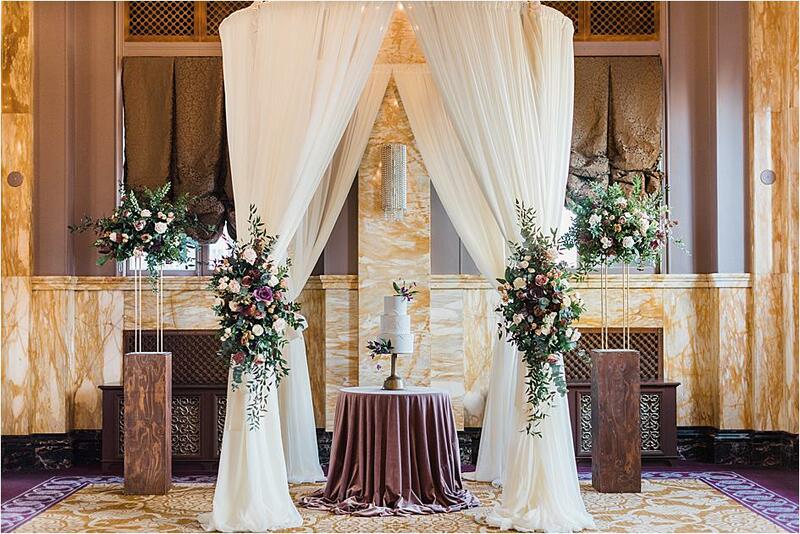 Bright gold tones paired with romantic hues of purple and blush added a romantic feel to the affair, and regal design pieces completed the design's sophisticated feel. 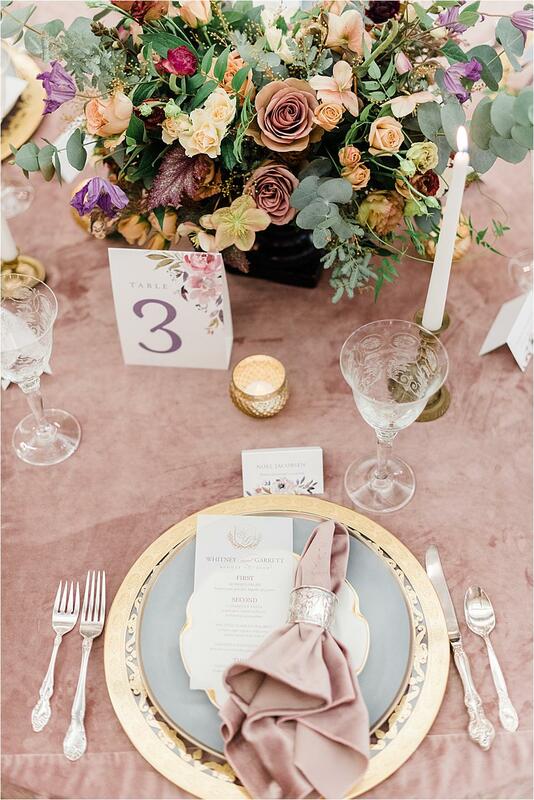 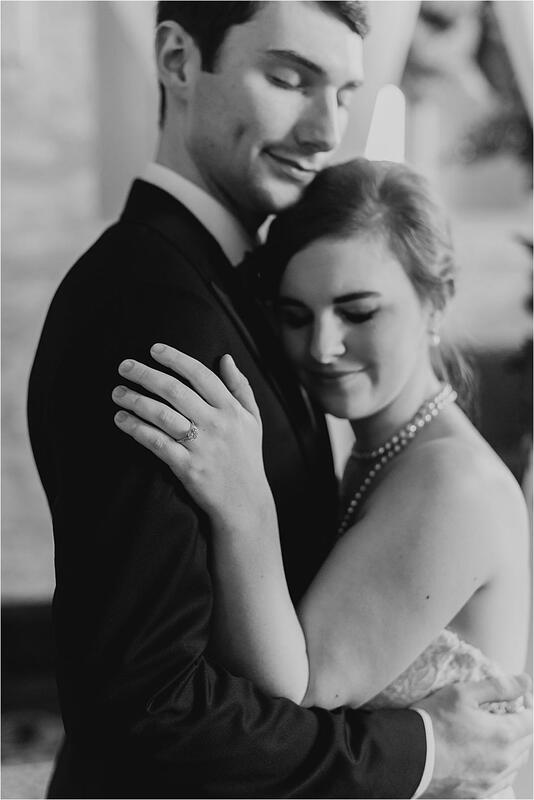 Keep reading to hear more about the inspiration and execution of this lovely styled shoot. 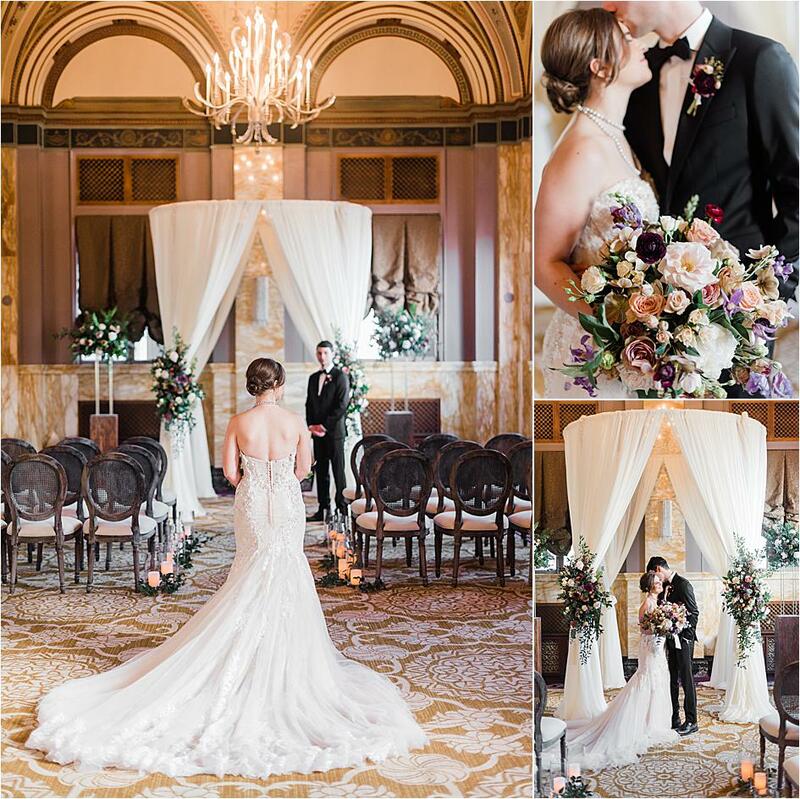 “Done in early January, the theme for this photo shoot was a renaissance-styled wedding. 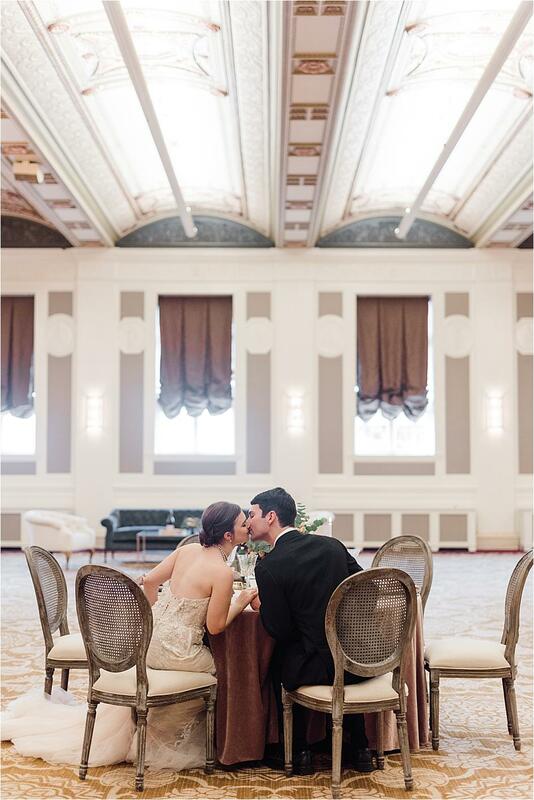 Inspiration was taken from an oil painting, a circular structure, and Louis chairs that caught my eye. 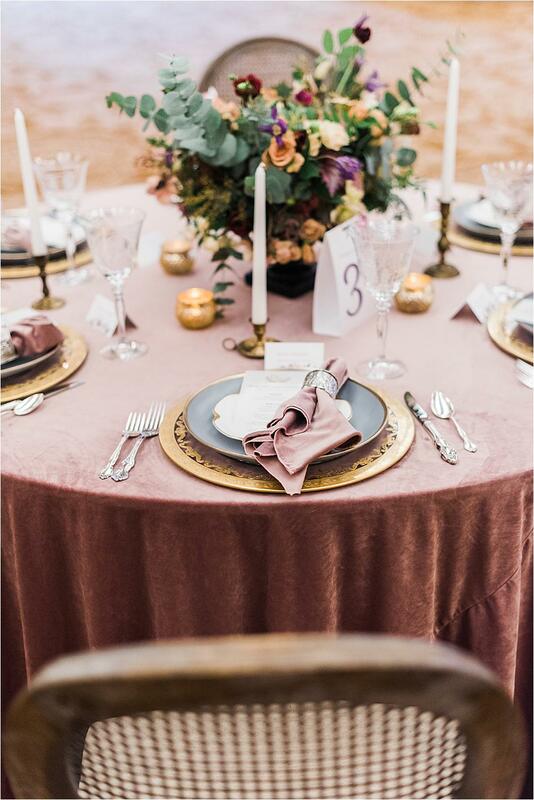 I had so much fun selecting the velvet linens and napkins, a nod to January’s frosty mornings, and pale ash-blue that conjures thoughts of a foggy evening as the sun sets in late winter. 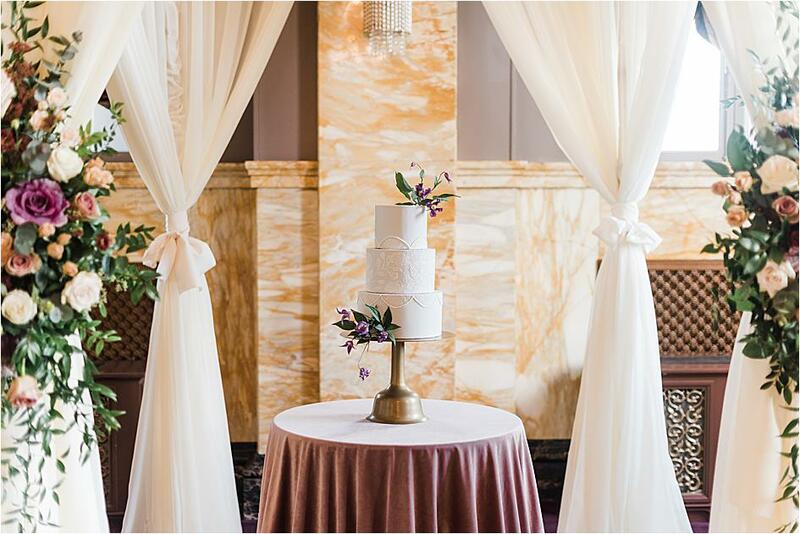 Although muted, colors that hint to somber pastel paintings add a vibrant ambiance to the day that brings warmth and joy. 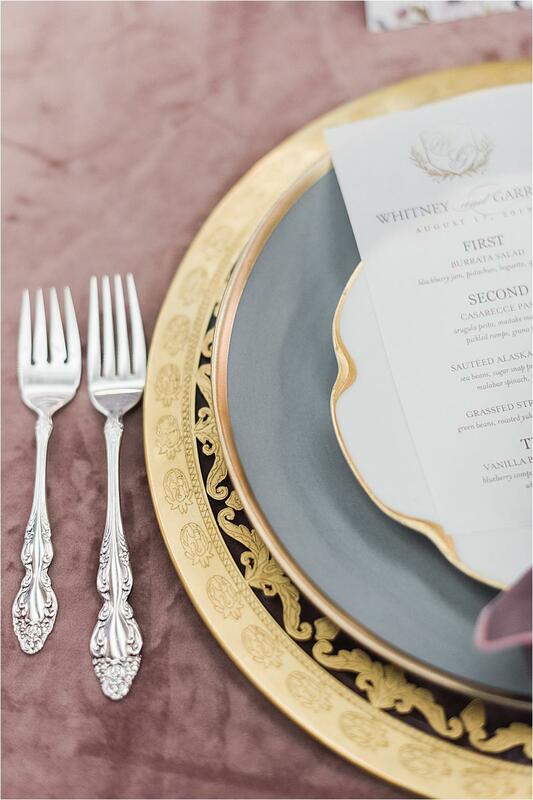 Regal yet bold and powerful, the crystal stemware, silver flatware, and gold-plated charters brought our vision to life. 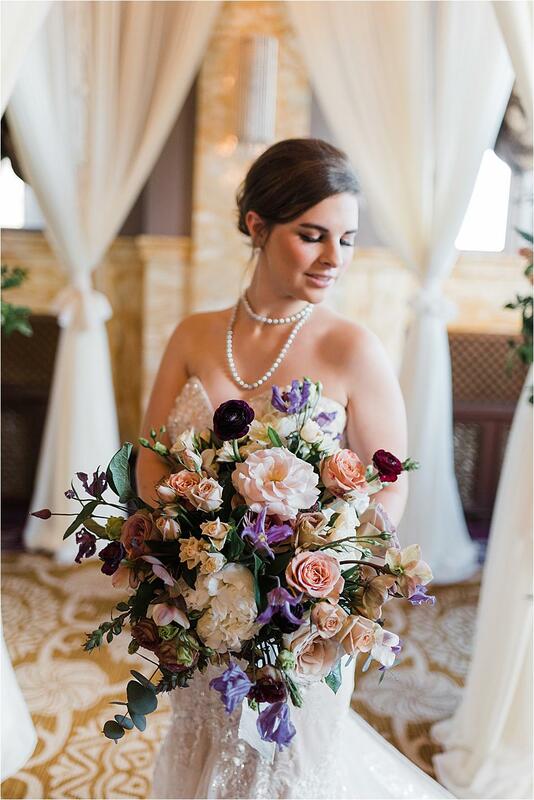 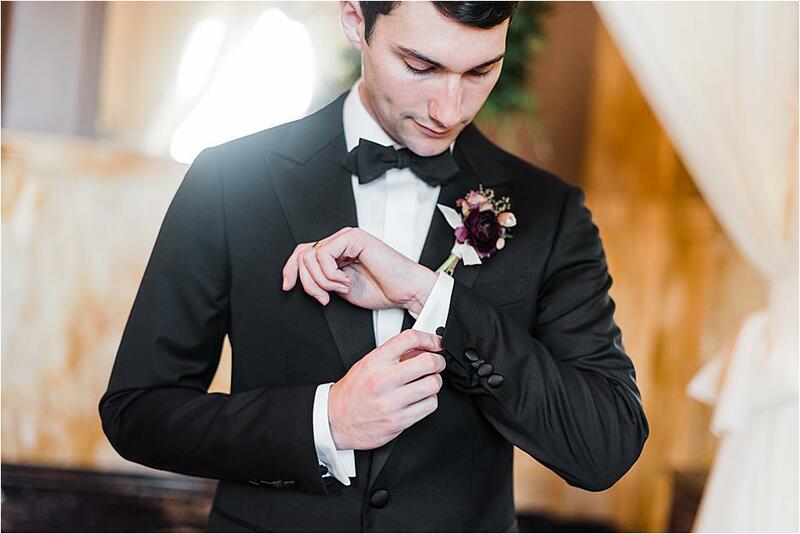 In the bride’s bouquet and the groom’s boutonnière, the oxblood and dark lavender flora added complimentary contrast to the main color palette.